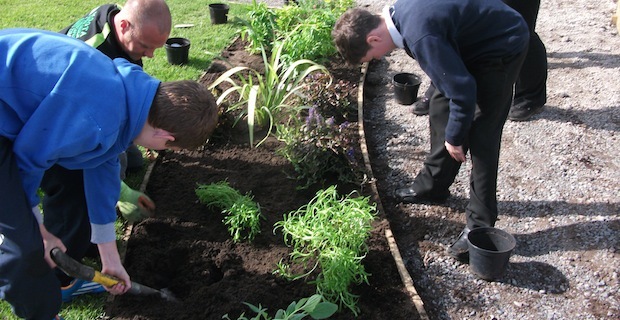 60 youngsters from the Solway Community Technology School (Year 8) and two classes of Primary 6 pupils from Silloth Primary School plus little ones from jellyTots Nursery came along to the new Community Garden on Silloth Green on Wednesday 14th May, to adopt and help plant a shrub or flower. After looking on while their fellow pupils planted, many of the youngsters seemed to know exactly what to do when their turn came. When the school curriculum allows, both schools and the nursery are very happy to help weed and care for the garden over time. Moota will provide care information for all the plants so we all know what we’re doing. 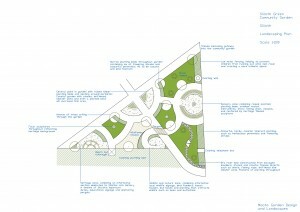 The new garden is funded by Heritage Lottery Fund as part of the Green’s major refurbishment programme. The garden opens officially at 10.30am on Sunday 25th May, Silloth Green Day. Families are welcome to come along to the opening and to the Silloth Green Day celebrations which start at 11.00am on the Green. So bring the kids along, have a walk about in the new garden and enjoy all the new plants in different zones. The little ones can listen to stories in the garden, told from the new story telling chair carved by the Solway Woodcarvers, and they can take part in a Treasure Hunt in the new garden organised by Jelly Tots Nursery. 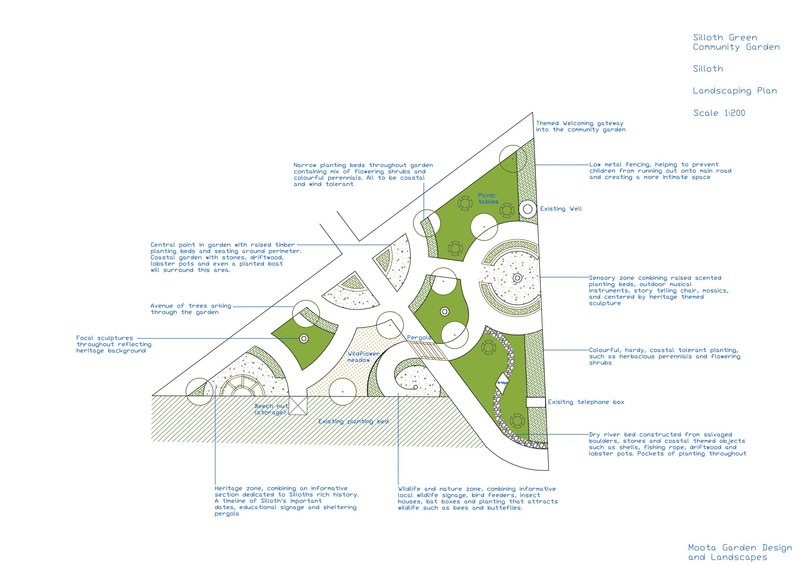 For information, here below is the design of the garden put together by Moota Garden Designers after input from the Community. Please get in touch with Friends of the Green – fog@sillothgreen.co.uk – if you would like to help out in the garden, Even a little bit of your time will help keep it in tip top condition!! !